These DVDs come with Public Performance Rights (PPR) so community groups, libraries, universities, schools, galleries and churches can screen the film for their students, congregations and members where no admission is charged. Downloads and DVDs for home use are not to be used to show to groups or in any public way. In fact, it’s actually illegal to do so. There are different kinds of rulers in this world: those who exert their power over others to control them and those who teach others to rule their own lives. 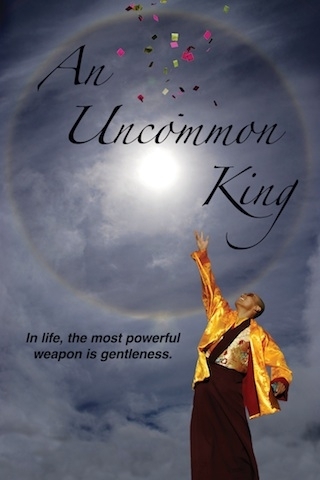 An Uncommon King tells the life story of Sakyong Mipham Rinpoche as he attempts to overcome language, cultural and personal obstacles to take over from his wild pioneering father Chögyam Trungpa Rinpoche. He is a Sakyong or “Earth Protector,” part of a lineage of spiritual kings. When greed and aggression tip the balance of nature and society, he is called upon to continue his father’s work to transmit the antidote – teachings on how to bring about a good human society. Comes with a Discussion & Contemplation Guide.